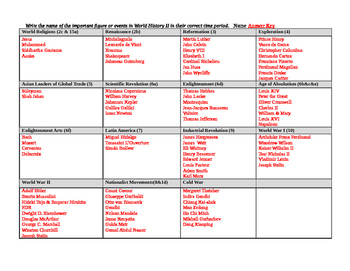 This is a chart by time period for important people of World History. 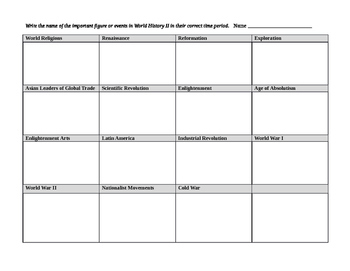 This was designed with the World History II Virginia Standards of Learning in mind. On the answer key, SOLs are noted.